As a beginner in the world of electronics, sooner or later you’ll want to make a more permanent project than what can be constructed on the solderless breadboard. It’s easy to say “make your own PCBs” – however this can introduce a steep learning curve, not to mention the cost and time involved in waiting for PCBs to arrive – and hoping they’re correct. Thus for many people a happy medium is transferring prototype circuits over to stripboard – it’s really cheap (check ebay), you can keep various sizes on hand, and it’s quick. However planning more complex circuits can be difficult – so it would be much easier with the use of a software design tool. Which brings us to the subject of our review – the Lochmaster v4.0 software from Abacom. 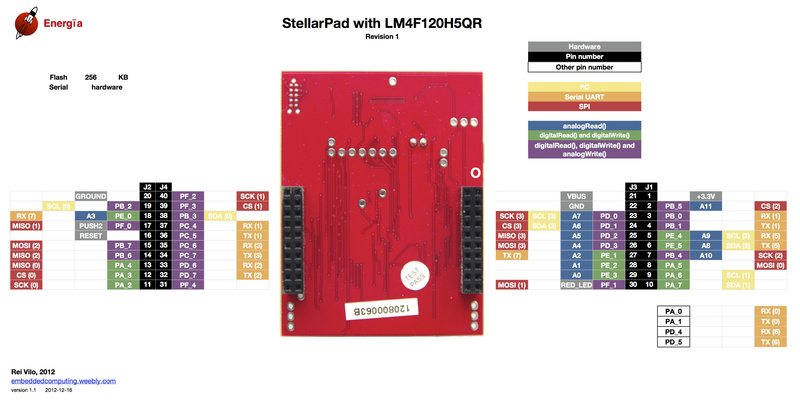 It’s an incredibly easy to use developer’s tool for strip board projects. No more loose pieces of graph paper, soldering parts “one row too far over”, or lost design plans – you can now design stripboard projects efficiently and with ease. Available for all versions of Windows from XP to 8, Lochmaster is less than ten megabytes and is distributed electronically after purchase – so backup your installation file when received. Otherwise it’s a quick install, you don’t need any extra framework software and due to the size will run well on less-specified machines. Although we have screen shots in the review below, you can download a trial version - so it won’t cost you anything to check it out yourself. … then you can drop the 555 on the board. It then becomes an object which can be dragged around and placed where you need it. You can also create and modify the component libraries, and also create your own custom parts. And then you can export your project as an image (.jpg or .bmp), HPGL machine file – and print out both sides to serve as an assembly guide. There is also standalone file-viewer software, so you can share your designs with others who haven’t got the full Lochmaster software installed. If you’re a beginner and don’t have the time, money and patience to design your own PCBs – Lochmaster is ideal. It’s a neater way to visualise physical circuits, as well as filing and sharing them with others. To order your own copy, get the trial version, or if you have any questions please contact Abacom. Full-sized images of the screen-shots can be found on flickr. And if you made it this far – check out my new book “Arduino Workshop” from No Starch Press. The post Rapid stripboard prototyping made easy with Lochmaster appeared first on tronixstuff. 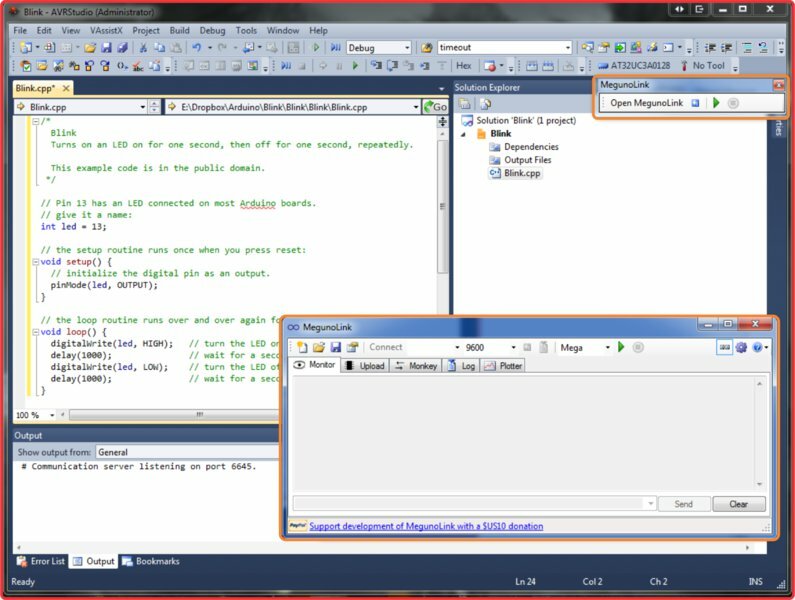 When the time comes to capture data from a microcontroller-based project, or control an embedded project via a PC – the thought of writing the appropriate PC software can give some people a headache. Or if you’re an Arduino or other development board user and are frustrated with the Serial Monitor box – where do you go? These problems and many more can be solved by using the Megunolink Pro software that’s the subject of this review. 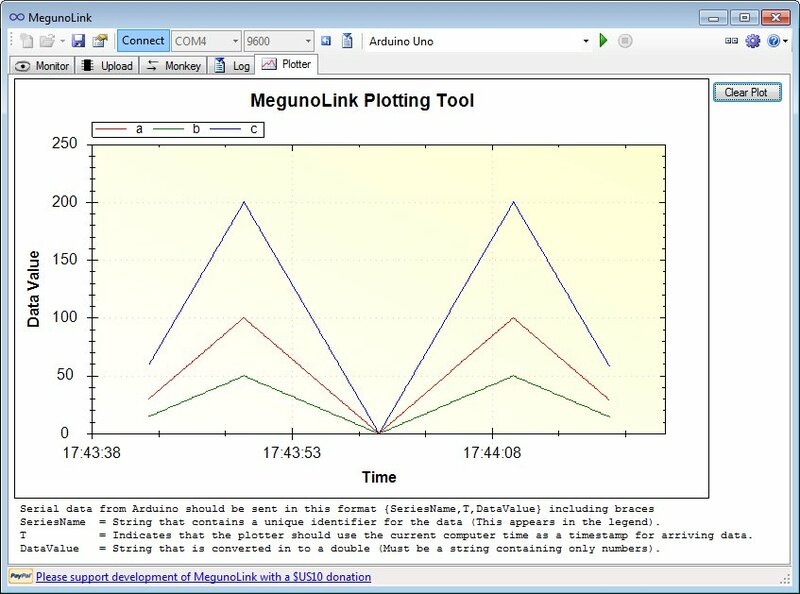 MegunoLink Pro is a tool designed to aid embedded electronics designers. 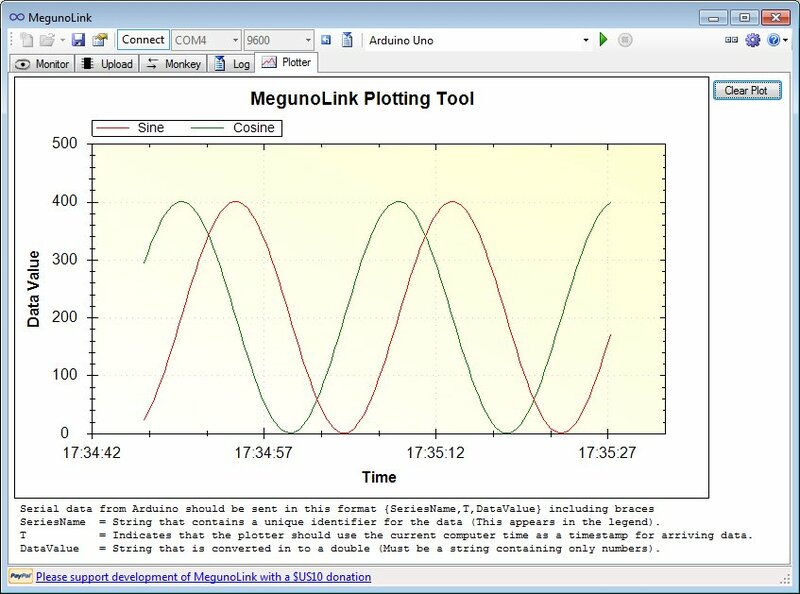 MegunoLink provides a set of tools to help visualize serial data, it is made up of a set of visualizers that each have a unique function and any number of them can be utilized at once. With these visualizers and our functional tabbed and docked interface you can create a full control center for your embedded project. Plot, log and monitor serial streams from both hardwired, bluetooth, and network based (UDP) devices. The user interface allows for a completely customized layout with many different visualisers displaying information at once. Perfect for developing exciting new microcontroller based designs. Data streams go from hard to follow serial messages to easy to interpret tables and interactive plots. The interface panel allows you to set up custom GUI elements that let you take control of your device from the comfort of your PC screen. Getting Megunolink running takes around ten minutes. 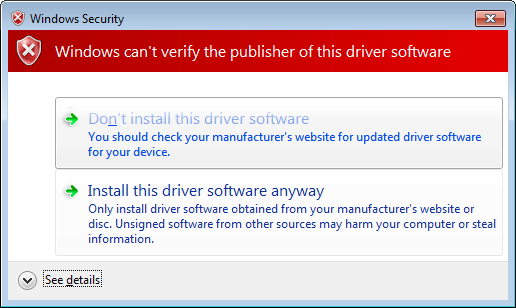 You’ll need a recent PC running Windows of some variety (XP/ 2003/Vista/Win7/8) and also .NET Framework v4.0. You can download a trial Pro version which operates for seven days – at which point you can use the “lite” version or purchase a Pro license. The Megunolink team have given our readers a discount on the personal version, use the coupon code “TROMLP” for 30% off. Furthermore there is an “upload monitor” in Megunolink – which can automatically disconnect from the COM: port used by an Arduino when you need to upload a new sketch, then reconnect afterward. This saves a lot of to-and-fro between the two programs when adjusting code. … and each of which send values of your choice to the device via USB. Then it’s a simple matter of coding your device to respond to the serial commands. 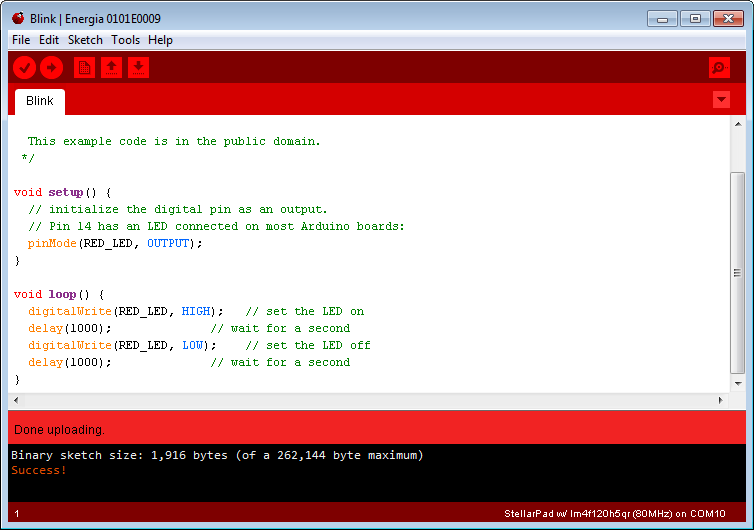 There’s also an interface to allow programming of an Arduino with .hex files via Megunolink. 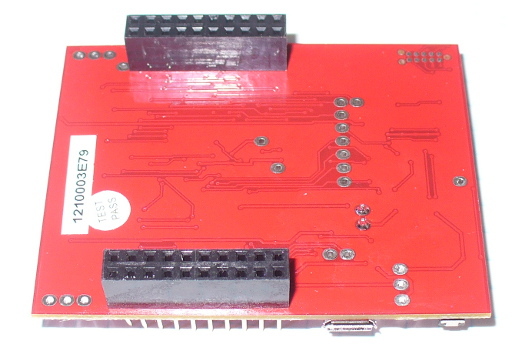 Currently it can work with the ATmega328, -2560, and with an external programmer -328P and -644 microcontrollers. Once again Megunolink has proven to be a useful piece of software. 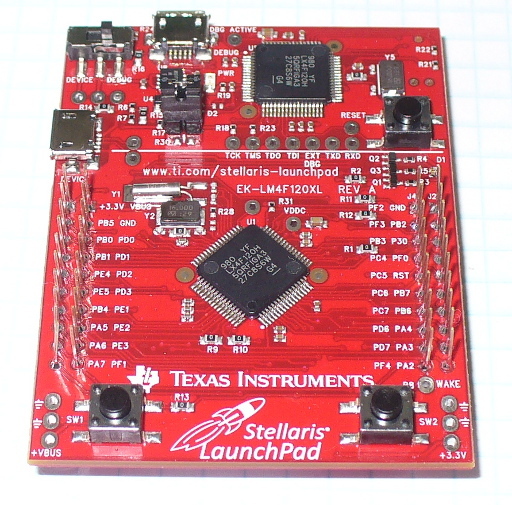 It gives you a friendly and powerful connection to all the data from your microcontroller, and also a simple GUI for control via serial. So test it for yourself, it won’t cost you anything for the trial version. And if you like it – don’t forget about the tronixstuff.com discount on the personal version - use the coupon code ”TROMLP” for 30% off. Finally, if you have any questions please contact Megunolink. And if you made it this far – check out my new book “Arduino Workshop” from No Starch Press. The post Visualise microcontroller data with Megunolink Pro appeared first on tronixstuff. Installation was simple and straightforward. The installation is only ~1.5 megabytes and not taxing at all. We only have a Windows 7 64-bit machine, so haven’t tested this in emulation under MacOS or Linux. Before moving ahead, note that the software is free. However the developers do ask for a US$10 donation, and if you use the software more than once this is a very fair amount to pay for such a featured piece of software. Now for a look at each of the features. You can also append data to an existing text file. When creating the output format in your Arduino sketch, be mindful to have separators such as commas or colons – which make it much easier to delimit the data once imported into a spreadsheet or database application. You can always save the graph as an image in the usual formats as well as in .emf vector image file format. For a more detail explanation and detail tutorial on how to control George, see the MegunoLink website. Although there is a small amount of tasks to make this possible, it is straightforward to do so, and an easy to follow tutorial has been provided at the MegunoLink website. As with all the other MegunoLink features – there is a relevant tutorial available on the website. MegunoLink works well, is easy to use, and the price is right. It has to be the simplest tool available for plotting data from a microcontroller, or capturing it to a file without any extra hardware. So download it and give it a try, it won’t cost you anything and I’m sure you will find a use for it in the near future. 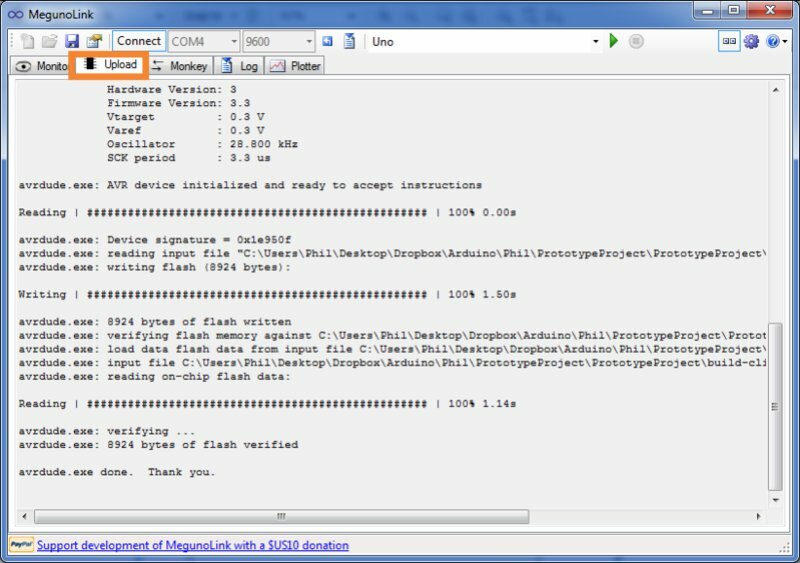 And remember – if you’re using MegunoLink, please consider making a donation towards the development of further versions. Thanks to Freetronics for the use of their top-notch Arduino-compatible hardware. 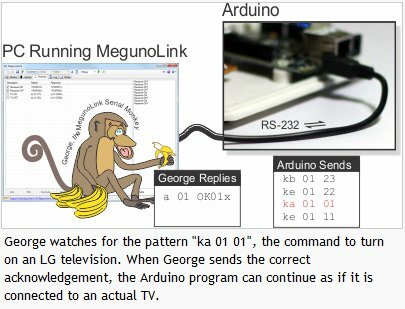 The post Improving Arduino to PC Interactions with MegunoLink appeared first on tronixstuff. You are currently browsing the archives for the software review category.